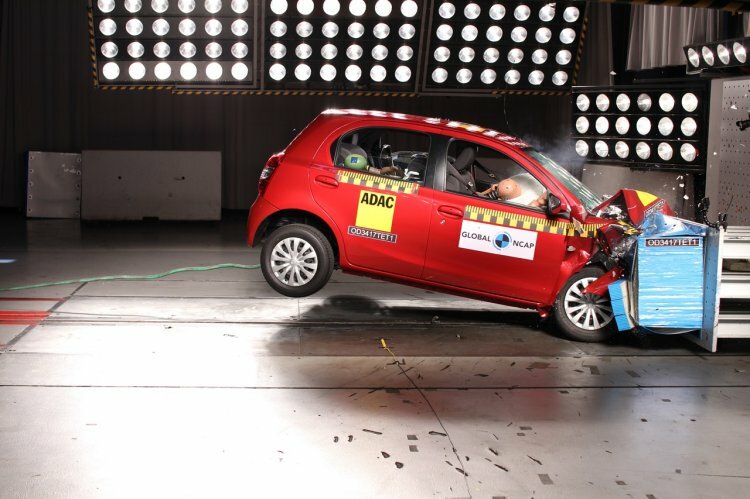 The made-in-India Toyota Etios (Liva) has bagged a 4-star rating in the crash tests conducted by Global NCAP and AA South Africa. The Datsun GO+, another India-made product, performed poorly scoring just 1-star. The made-in-India Toyota Etios (Liva) was awarded four stars for adult occupant protection and three stars for child occupant protection. In the frontal crash test conducted at 64km/h, the Toyota Etios achieved four stars out of five for adult occupant protection. The test rated the vehicle's structure as "stable, offering good general adult occupant protection". The Etios was awarded a three star rating for child occupant protection. The child seats recommended by Toyota were used for the test. When tested for a frontal crash at 64km/h, the Datsun GO+'s vehicle structure was rated as unstable. Despite the presence of a driver side airbag, steering wheel movement recorded high compression to the chest of the driver dummy. 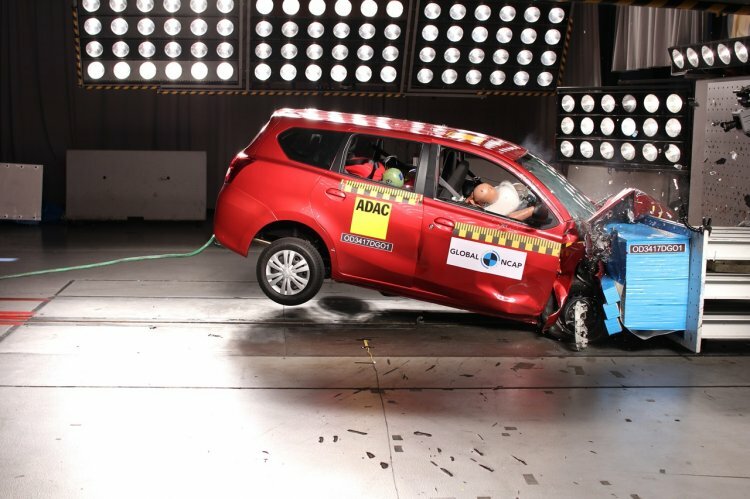 The test awarded the Datsun GO+ a one star rating for adult occupant protection. In the case of child occupant protection using the child seats, the car scored two stars. Last year in September, the India-made Datsun GO underwent crash testing in South Africa. It performed poorly achieving a score of 0/135. India-made Datsun GO+ scored one star for adult occupant protection and two stars for child occupant protection. The latest round of tests was carried out as part of the #SaferCarsforAfrica initiative by Global NCAP and AA South Africa. Other participants included the VW Polo Vivo, Renault Sandero, and the Chery QQ3. The Sandero and Polo Vivo scored three stars in adult occupant protection tests, while the Chery QQ3 was the worst of the lot, scoring a zero star rating.